I just returned from three days in Disneyland with my third set of grandchildren. 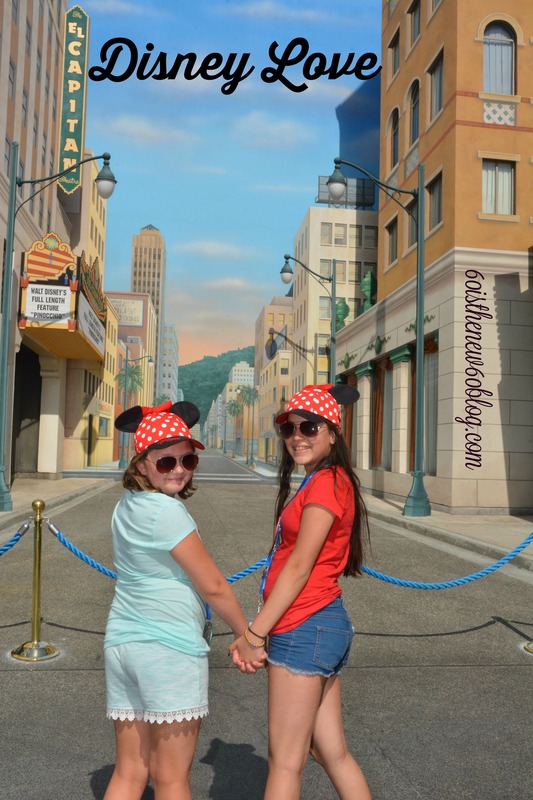 I take a pair to Disneyland as the oldest of the pair turns 13. It’s worked out to be every other year. The eldest granddaughters kind of actually got screwed because I didn’t have nearly as much Disneyland experience as I have now. It helps to have Disney fanatics as friends. So this trip was with my turning-13-on-July-4th and just-turned-10 granddaughters. We stayed on property at Paradise Pier (because it was the least expensive of the choices). My thinking with staying on property was (a) we were going on a holiday; (b) I wanted extra magic mornings so they could be assured of riding the most popular rides; (c) I didn’t want to drive and pay parking fees every day; and (d) I wanted walking distance so we could go back to the hotel in the middle of the day if it was hot and/or crowded. By the time I added in the costs and value of parking, magic mornings, and distance, it just made sense. We started our trip with a character dinner at the Disneyland Resort in Goofy’s Kitchen. The chef took us around to show us what the gluten free and dairy allergies should avoid. Everyone got enough to eat, and my dairy-free granddaughter even got special raspberry sorbet for dessert. They had autograph ears I purchased on Etsy and I had Sharpies for the autographs. It worked really well and although the glue on the ears stopped working on Day 2, we continued to carry them around and get autographs and when we returned home, I hot glued the ears back on. I’m not going to lie, it was H O T! Even for an Arizona native. Sweat was dripping down my back, my front, my face, everywhere. Our first ride was on the new Guardians of the Galaxy ride in California Adventure. The 10-year-old was nervous because she didn’t know what to expect, but they both loved it! Then we did Radiator Racers, which they also liked. Once the parks opened to the public, we went to Disneyland and they wanted to go on Splash Mountain (since we were all sweaty). I checked my app (a MUST have!) and saw that it said there was a 5 minute wait. We started that direction while I explained that that could be wrong because I had never seen a 5 minute wait. Usually about an hour is the norm for me. But we could have gotten a fast pass if the app was wrong. As we got closer and I saw no line around the attraction, I was getting excited. There was no line! We got on right away and they both loved it. They loved it so much we immediately got in the nonexistent line and rode it again. Apparently one of the Disney Cast Members told us before noon is pretty dead, but after noon was really crowded. They were correct! By late morning/early afternoon we learned the beauty of fast passes. For most of the rides we were looking at, the standby time was something like 35-45 minutes and the fast pass was good for an hour starting in 5 minutes from the current time. So we pulled fast passes, stood at the ride for 5 minutes, and then got in the fast pass line and got right on. Why anyone would stand in the standby line in those circumstances is beyond me. As my daughter is a celiac (gluten intolerance) and my granddaughter has a milk protein allergy, I knew eating at the park would be an adventure. So we got hungry Day 1 at about 12:30 and headed to Carnation Cafe, one of the places my celiac restaurant app said got good reviews for accommodating celiac customers. They, of course, only had room for reservations, so we were turned away and they suggested the Plaza, which allows walk ins. So we went to the Plaza and had to stand in a special place to get the allergy menu, order, and pick up the food. My daughter was really impressed with the baked chicken she got and my granddaughter loved her spaghetti. We stayed in the park for a little while, but lines were longer and fast passes were hours away, so we went back to the hotel so the girls could test out the slide and the pool. My daughter relaxed in the room while I went down with the girls. We ended up going back and wandering around for a little while and then went to dinner in Downtown Disney at Tortilla Joes. My daughter was super excited to have the quesadilla that was gluten free and delicious. My granddaughter had a steak salad, from which she ate all the steak and little of the salad (and all of the dressings had dairy) but she ate it dry. Day 2 was the 4th of July holiday and my granddaughter’s actual birthday. It was magic morning in Disneyland, and we started (a little later than the day before), at Space Mountain. Then we wandered around getting on rides with a short line or a short wait on a fast pass. We made a lunch reservation at Carnation Cafe and ate another meal that everyone enjoyed and didn’t have a reaction to. We continued riding rides and visiting characters. Since it was Abriana’s birthday, we enjoyed dinner at Blue Bayou, again with no food reactions. We then enjoyed a Dole whip float, which I think was a bit much as Abriana got sick and we headed back to the room. I think it was too much food as she doesn’t have a food allergy, but the Dole whip is gluten free and dairy free so everyone got to have one. We missed the Disney fireworks, but could see lots of them in the distance from our room. Our last day in the parks started later than the day before and then we got in the wrong line for Guardians of the Galaxy until I figured out we missed the entrance for magic morning. Once we got through, we decided to get a fast pass for Guardians and then got in line and rode it, waited about 10 minutes and got on it again with our fast pass (they loved that ride!). The rest of the day was riding the favorites Grizzly River Run, Splash Mountain, and a few others. We lunched (with reservations) at Wine Country Trattoria. It may have been the best meal we had. They had gluten free noodles, so everyone could enjoy their meals. Then everyone was pooped out so we went back to the room. I gave the girls the option of going back to the parks, going to the movies and dinner, or staying in the room. They chose the option of going to the movies. We saw Despicable Me 3! I didn’t fall asleep and they enjoyed it. We had a very late dinner that I didn’t think they would make it through and then off to bed. We woke to no alarm that last day, showered, and left the hotel. Even though we checked the room pretty thoroughly, I left my Fitbit there. Luckily, they called me a couple of days later and asked if I had left it there and they mailed it back to me. That was great customer service! All in all I think the girls had a great time, although I would have liked to have spent more time on rides. It was hot and it was crowded and that was getting to everyone, so I understood their schedule. One more grandchild gets the 13th birthday trip in a few years (although I might move his up just in case I’m not able to take him because I’m as old and infirm as my family thinks I will be). In the meantime, I need to start thinking about special gifts for high school and college graduations. When do they stop growing? Do the character meal if you want to get autographs. It’s a good chance to get a lot of them with good pictures all at once. If you are in a wheelchair or have a stroller, please pull over if you want to stop. Stopping in the middle of the road is frustrating for the people behind you trying to get around you through oncoming traffic. Don’t get frustrated and have a great time. What suggestions do you have for a great time at Disneyland? Add them to the comments! This entry was posted in Grandchildren and tagged #celiacatdisney, #dairyfreeatdisney, #disneydining on July 10, 2017 by Kathy. Great look into the trip from your point of view! Good tips and tricks, too! Just found this on Pinterest and you’ve given me my first Grandma goal, and that says a lot since my oldest kid is only four! Sounds amazing to go to Disney with all my future kiddos though, and you sound like an awesome Grandma! Thanks, Kylie! I wouldn’t trade those experiences for the world.